Rolling Crone Records is extremely pleased to announce the release of multi-instrumentalist Isaac Castillo’s EP, “Dear Earth.” This 7 song EP is a love letter to the earth that takes us on a journey which mirrors the artist’s own awakening and understanding of environmental issues, his place within the larger biological systems of our Earth, and of working through the grief of loss for degradation that has already gone too far. In songs like “Believe in Blue” and “Invisible World”, Isaac describes to us his deep connection to nature that he gained through learning about the ocean, and reminds us that we are as connected to the life beneath the surface as we are to each other. Isaac’s skill as a musician is aptly displayed as he jumps from guitar, to ukulele, to upright and electric bass. In particular, the solidity and groove of the bass performances on the album will excite music appreciators from all backgrounds. 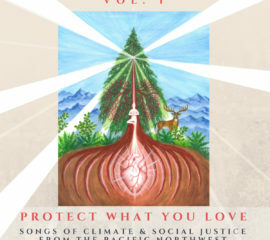 The EP also features several other talented musicians including Drew Martin on banjo, harmonica and 12-string guitar, Beth Fleenor on bass clarinet and percussion, and Erika Lundahl on vocal harmonies. 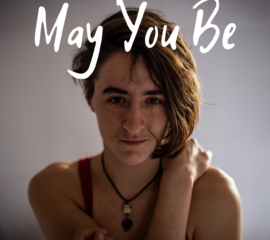 The album is available on Bandcamp (preferred), Spotify, Itunes, Youtube Music and more. Isaac Castillo is a multi-instrumentalist songwriter based in Seattle, Washington. For over ten years he has traveled the country, playing bass in bands whose styles have ranged from RnB, bluegrass, to avant-garde jazz and classical. 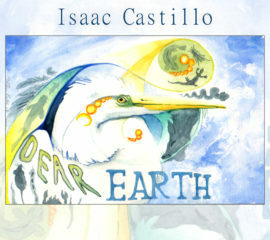 His debut album as a solo musician, “Dear Earth” is available now.